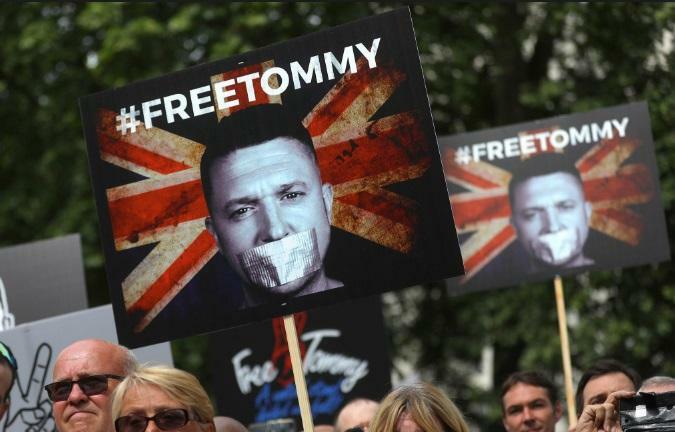 Just last week, thegoldwater.com featured a piece entitled ‘World Press Starts To Recognize Importance of Tommy Robinson Case’, in which we argued that the mainstream media would soon be forced to report on the case of Mr Robinson’s unfair imprisonment as the interest had gotten too big among the general public. The British Broadcasting Corporation at length explains the case of Mr Robinson, whilst arguing that it is not so much about freedom of speech, which his supporters are arguing, but rather about ‘protecting someone’s right to a fair trial’. The simple fact that the BBC is now reporting the matter and trying to explain the judge’s position goes to show just how great the movement demanding freedom for Mr Robinson has become. Earlier this week, several British Members of Parliament all undersigned an open letter calling on people to join in counter-protests against various planned ‘Free Tommy’ marches this weekend, which have now been going on non-stop for weeks. Pardon me for asking, but don’t you find it strange that a case which was met with a gag order in the UK and which received no coverage whatsoever by the MSM in the first few days could get thousands of people out in the street many weekends in a row asking for the release of someone slapped with a 13-month prison sentence simply for livestreaming outside a courthouse? Perhaps it might be time to admit you’ve made a mistake. Or you could continue to do nothing. I believe the official police report stated the largest protest so far counted 15,000 participants. Sad that the BBC is now the propaganda arm of the Soros Bundesbank!